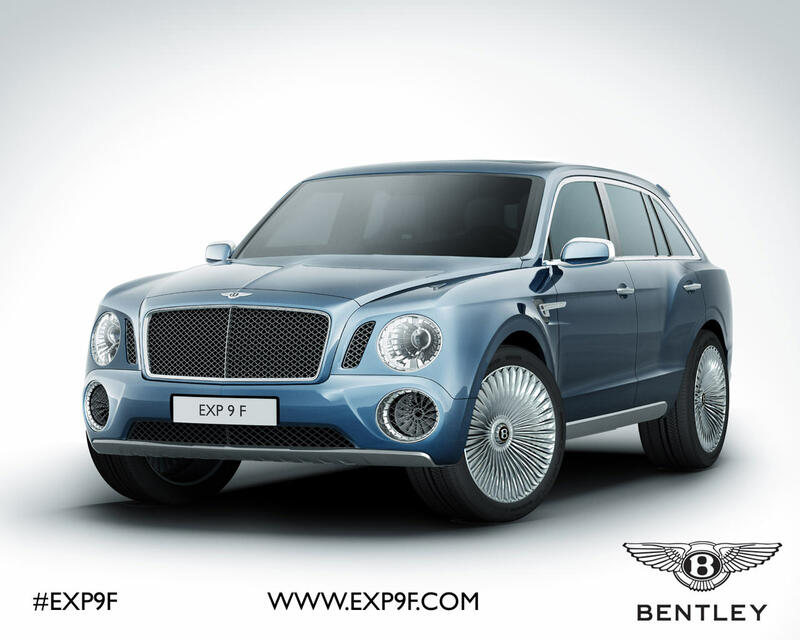 The Bentley EXP 9 F Concept is a Bentley with a twist. 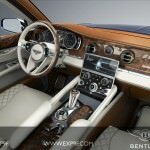 It looks similar to the Continental GT, but it has been sized-up, and has a slight SUV look. You can tell by the large matrix grille and round headlights, that it is definitely a Bentley. This concept car was designed after the fast moving bird, the falcon – thus the F in the car’s name. 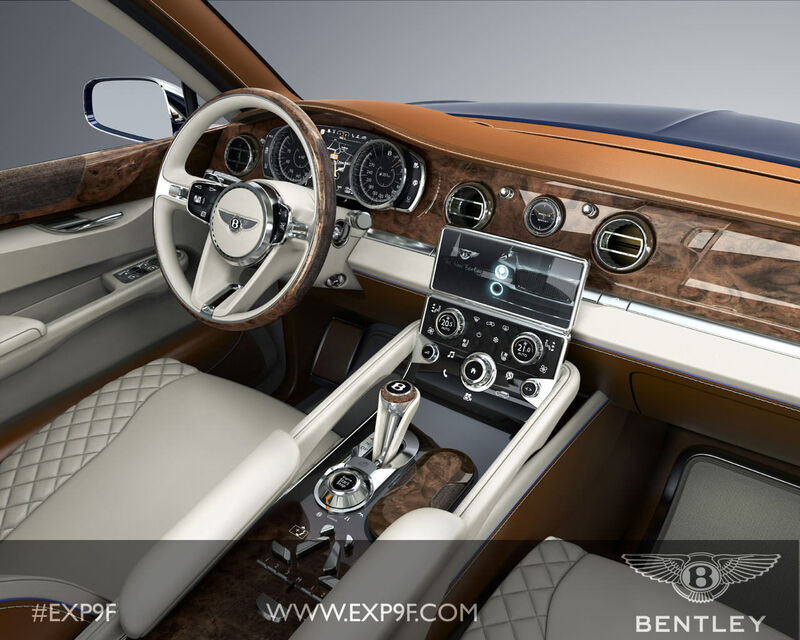 Under the hood of the Bentley EXP 9F Concept is a 6.0 liter twin-turbocharged W-12 engine with 600 horsepower. The transmission is an automatic eight-speed. The 23-inch alloy wheels compliment the design of this vehicle very well. 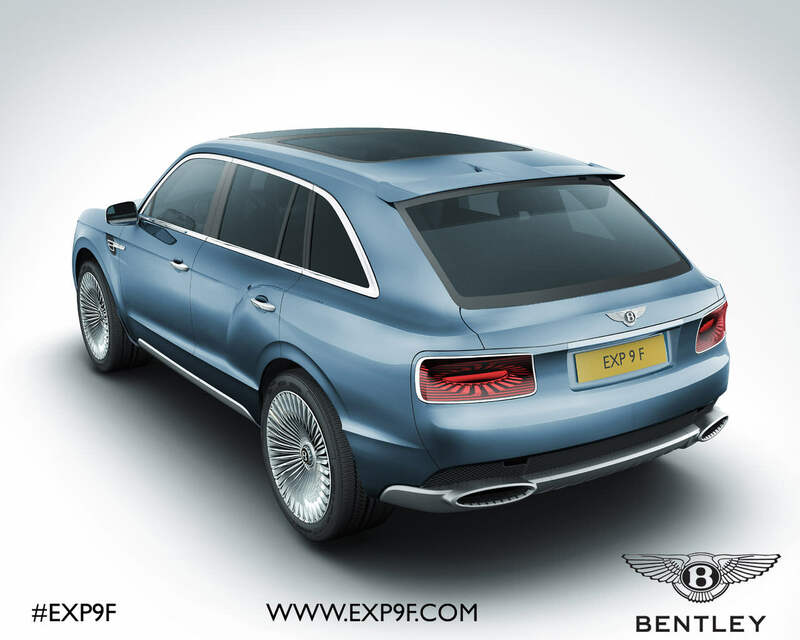 In typical Bentley style, the Bentley EXP 9 F Concept, has a luxurious cabin. 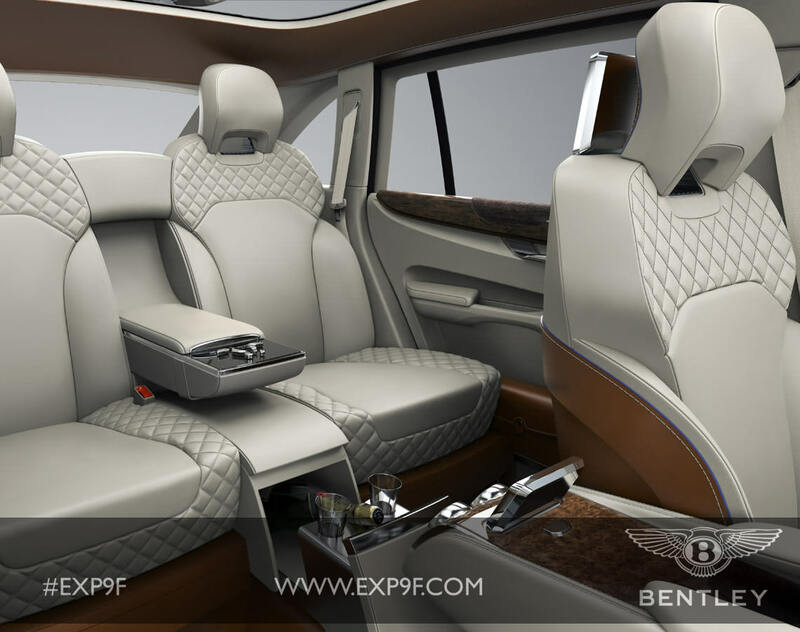 The seats are covered with soft leather that is quilted, and the interior is trimmed in wood and metals. Not just one metal, but three: polished aluminum, polished bronze and polished gunmetal. The roof is designed with a glass panel that gives a panoramic view. The seats in the back recline, and have foot rests that are powered. Passengers in the back can connect to the internet, and can keep their champagne and glasses cool in a special compartment. 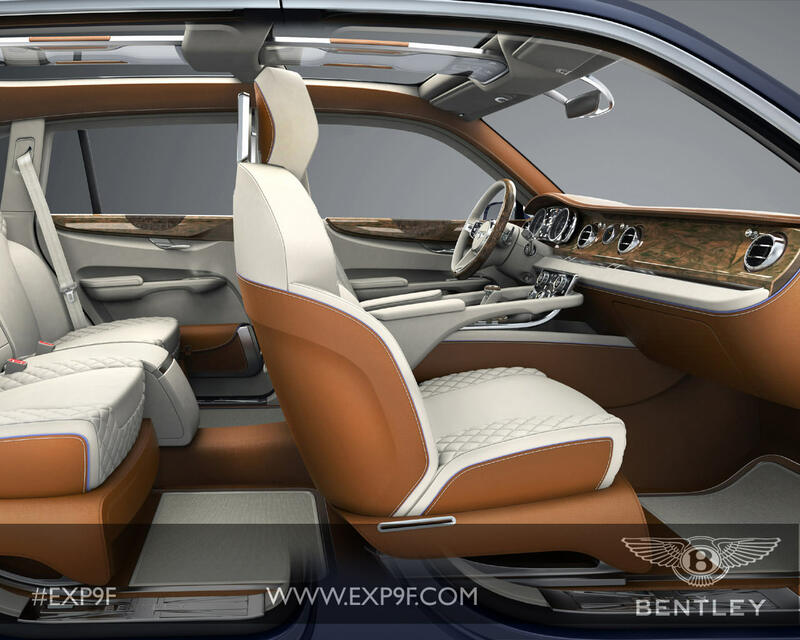 What is different about this Bentley, or any other SUV, is that the Bentley EXP 9 F Concept has a picnic area that pops up from the tailgate, and is decked out with an awning, umbrellas, picnic baskets with cocktail glasses, plates and silverware, and there is also a champagne bucket.